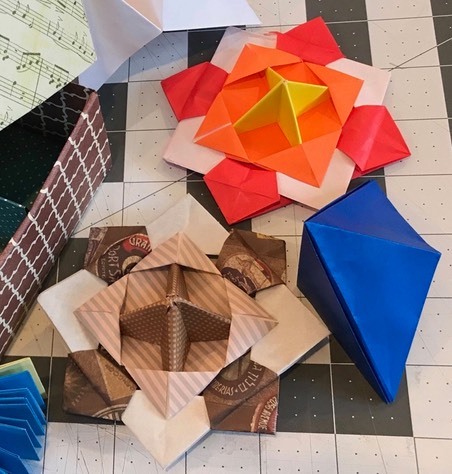 Magical Folds: Flexigons, Hexiflexigons,and More, including the ?Flexigon, a Jacobs Ladder Flexigon, and more! 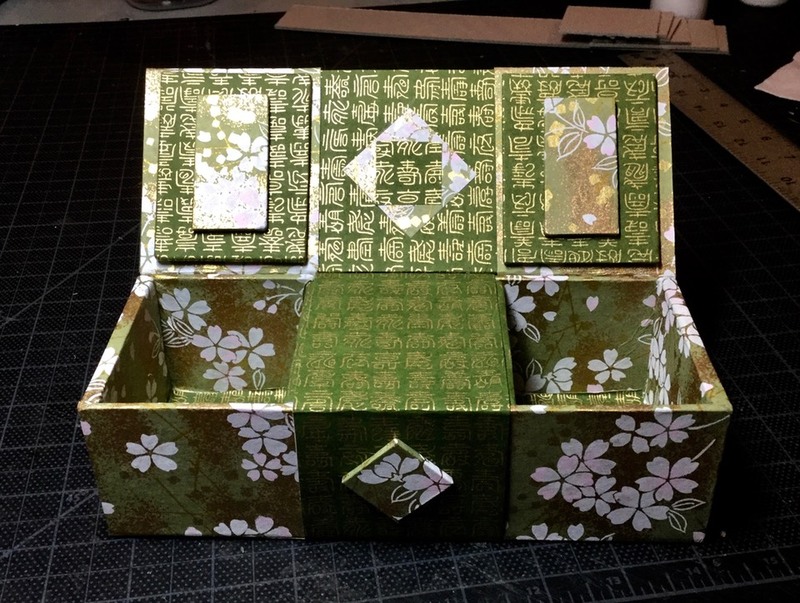 Hidden Compartment Box, a Japanese design that reveals a secret compartment. 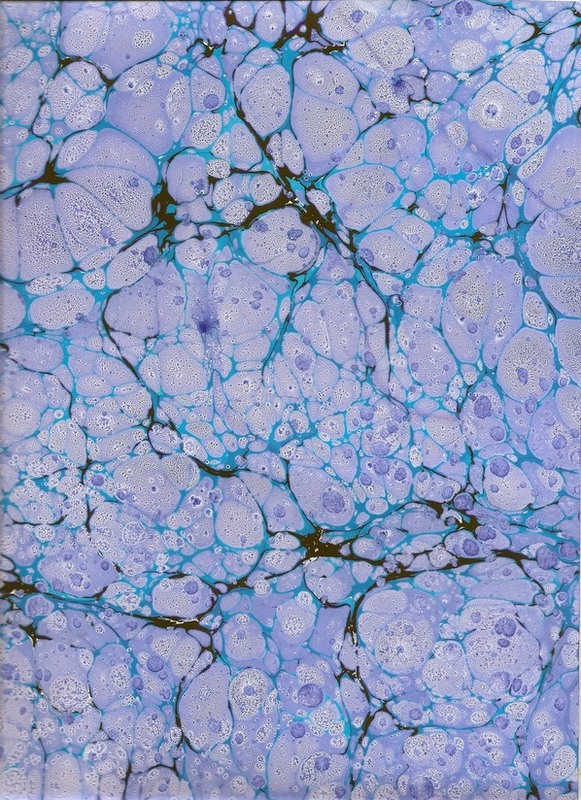 Involve yourself in three days of actylic marbling and learn a range of both traditional and contemporary techniques of this ancient art with both paper and fabric. 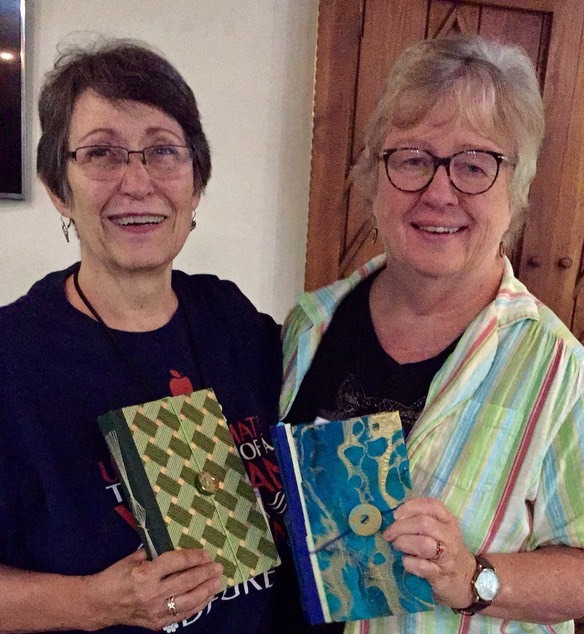 Join long time Clearing instructors Darlene Cole and Nancy Akerly for an in-depth week of jounaling and paper arts. 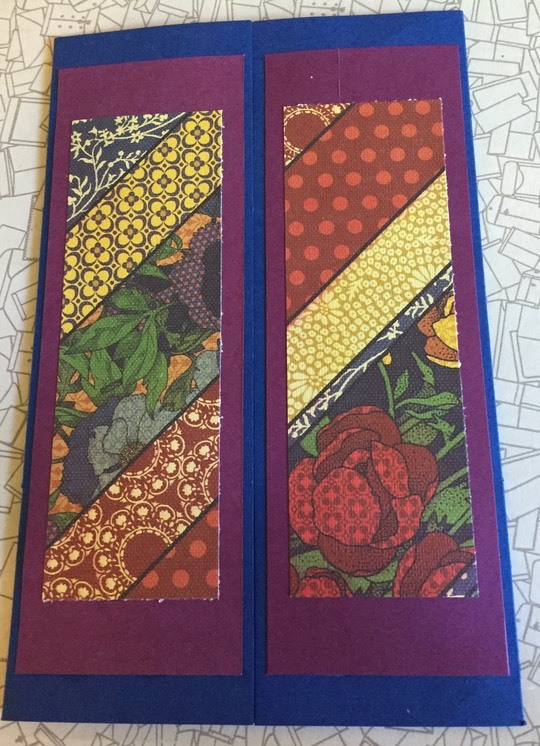 You will explore your own creative processes while making a long stitch personal journal from bookboard and fine papers, learning techniques and daily practices to help you reflect on and explore your unique perspective and thoughts. Additionally I hope to teach a workshop or two in Marbling and/or Box Making during the summer and fall Clearing Workshop Classes. I will keep you posted! *** HOME STUDIO CLASSES are small intimate classes of five or six people taught in my Sister Bay Studio, normally on Wednesdays. 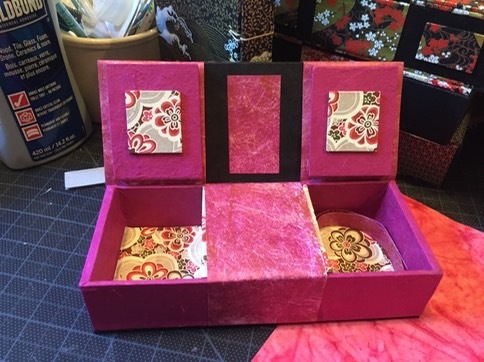 Classes range from Long Stitch Binding, Coptic Binding, and Secret Belgian Binding to Box Making 101 and more advanced Box Making Classes. The classes start at 9 and run to about 2 or so, with a short break for lunch. Students bring a bag lunch. There is water and soda available and a small refrigerator. The goal is learning made fun! Each class is $45, plus a materials fee, which varies with the class. If you are interested in registering or have questions please contact me at nakerly@charter.net or test or call at 920-854-4246. LGPA work can be seen at The Clearing Gift Shop, Ellison Bay, WI, and at The Glass Door Studio Artists Co-op, directly behind Ecology Sports across from the Marina in Sister Bay, WI, and in various art shows in Door County, including The Meadows Gallery, Sister Bay, and by appointment, 920-854-4246.